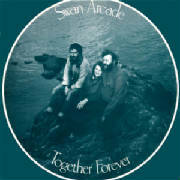 Tracks 1-11 are from Together Forever (FE037) 1983. 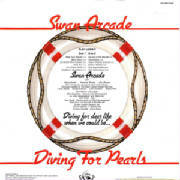 Tracks 12-21 and 23 are from Diving For Pearls (FE054) 1986. All tracks recorded and produced by Paul Adams. 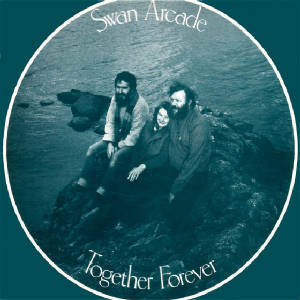 Another Swan Arcade track, The Wayworn Traveller, recorded in 1986 with Maddy Prior, Martin Carty and others, appeared on the Fellside Recordings compilation Flash Company. 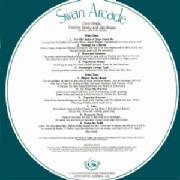 If Swan Arcade existed today and a plan was put forward to demolish it, there would probably be an uproar. In this, the year 2005 we sometimes greatly appreciate what is old, particularly if it has the quality and style of the shops-and-offices arcade which graced Bradford’s Market Street until 1962. But there were surprisingly few voices of protest raised when it was announced that the 1870s building was to be replaced by a splendid 1960s one. This was the post-war period of great architectural purges, when the decks were cleared for a brave new world of concrete and glass. Not only did Bradford lose Swan Arcade, but it also lost Kirkgate Market - to the subsequent regret of many of its citizens. At the time, J B Priestley declared himself displeased at the plan, because it was in Swan Arcade that he used to work as a very young man. But Priestley had long since moved well away from Bradford by this time, and most of the citizens who had stayed here didn’t really care much one way or the other. When the demolition plan was announced in the autumn of 1960, the T&A recalled that the four-storey arcade had been built, at a cost of around £150,000, on the site of the old White Swan Inn. "The man with the foresight to build it was Angus Holden, four times Mayor and a Bradford MP," the newspaper reported. "He named his arcade after the White Swan and incorporated graceful swans in stone and ironwork at the main Market Street entrance….Ground floor occupants included a cigar merchant, a cabinet maker and two tailors. "At the start of the century mill owners established offices in the arcade but after many years it reverted to its original role as a shopping centre." It was a stylish place. The T&A described it thus: "The names of the ground floor occupants were originally painted on the windows against a background which shut out the light. So hanging mirrors were placed in such a position that they reflected light from outside into offices and shops. More recently, there have been mirrors angled downwards from the sides of the avenues. "The old lift, or chain of cages [driven by a gas engine], never stopped running in business hours but it went so slowly that it was easy to step in or out as it reached a floor level and no attendant was needed. It was replaced by an electric lift many years ago." 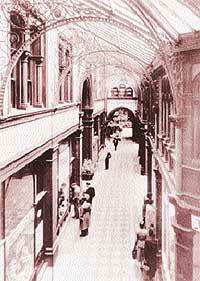 The arcade was acquired in 1955 by the Arndale Property Trust for a reported sun of between £225,000-£250,000 - although the exact figure was never disclosed. The year after it was demolished, Arndale House was built on the site. 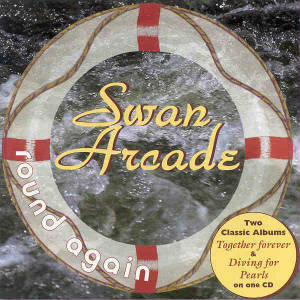 Just as Swan Arcade, when it was new, was described as being 50 years ahead of its time, so the T&A reported that its replacement, according to one of the architects who designed it, was "structurally the most advanced building to be constructed in the United Kingdom". "A sale notice on the window of a men’s outfitters’ shop in Swan Arcade today proclaimed ‘The last day’. For when the heavy iron gates are next opened after tonight, the demolition men will move in. 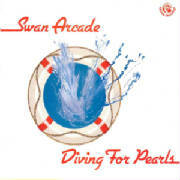 Swan Arcade has been ‘dying’ for many months. Most of the 112 tenants in its shops and offices moved out weeks ago and there were only two doing business there on the last day. One was an outfitters’ shop, still filled with racks of suits and coats which the staff will move over the weekend to Leeds, sometimes described as the ‘city of arcades’. The other was a confectioners’, which was carrying less than its usual Saturday stock. Former tenants and workmen removing fittings were the only other people at work in what was a dusty and melancholy scene. It is estimated it will take about four months to pull down the city’s only arcade, which will be replaced by a more efficient building to marry with the new city centre." It was just half a century ago this week that Bradford people learned of a decision many of them have regretted ever since. The Telegraph & Argus of November 29, 1954, in Bradford, informed its readers that the elegant Swan Arcade, which occupied a site between Market Street and Broadway, had been sold privately for an undisclosed figure (although later informed guesses put it at between £225,000 and £250,000). The clue to its fate lay in the name of the company which had bought it: the Arndale Property Trust Ltd of Wakefield, which T&A readers were told was “an investment company which specialises in the development of central shopping and office sites, with extensive holdings in the North and Midlands”. A spokesman for the Bradford company appointed to manage the block of shops and offices, S H Chippendale & Co, said that “no immediate material changes” were envisaged and pointed out that several of the shops were on leases with several years to run. Work had already started on the adjoining site at the corner of Bank Street and Broadway (now occupied by the Yorkshire Building Society) and this, he said, was bound to have “an improving effect” on the Broadway frontage. The four-storey Swan Arcade, named after the White Swan Inn which used to stand on the site, had been built in 1880 by four-times Mayor and Bradford MP Angus Holden at a cost of around £150,000. It covered a 2,630-square yard site and at the time Arndale bought it was bringing in rent of £15,481 a year from 112 tenants. Most of the offices were on six-month tenancies and the shops were on leases which were due to expire between 1955 and 1960. And so began Swan Arcade’s long wait on the property world’s equivalent of Death Row. It was six years before the announcement came. On October 13, 1960, the Arndale Property Trust declared that the arcade was to be pulled down and rebuilt “to fit in with Bradford’s central redevelopment”. Demolition would start when tenancy agreements ended in early 1962 and it was hoped that the building of what was to become Arndale House would start in May of that year.